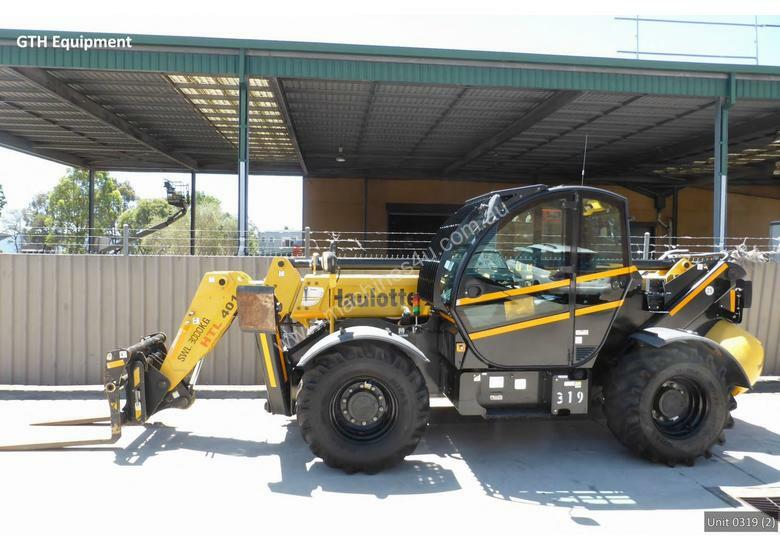 Our quality Haulotte HTL 4014 telehandler fleet replacement unit is available for SALE it has 2290 engine hours showing. The unit was commissioned November 2011 and includes our industry leading three-month Ex-Fleet WARRANTY. Haulotte telehandlers do not require a 10-year testing they only require the manufactures PM Service. This unit comes with the Manufactures Declaration of Conformity to Australian Standard 1418-19. 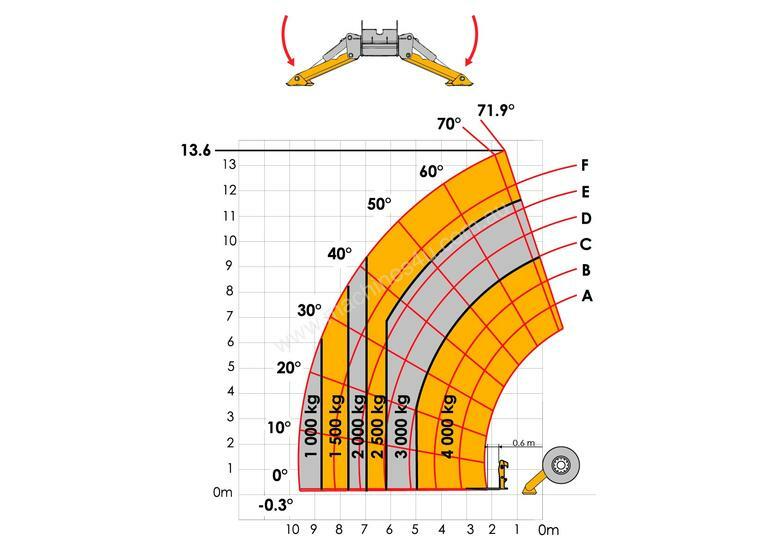 The Haulotte HTL 4014 telehandler has a maximum lift capacity of 4000 kg and a maximum lift height of 13.6 metres with an overall length of 6.46 metres stowed, a width of 2.43 metres, a height of 2.60 metres, weighing in at 10.710 kg. It features a hydrostatic transmission with a maximum speed of 34 kph, constant 4WD with three steering modes and features a 74.9 kW Deutz engine. 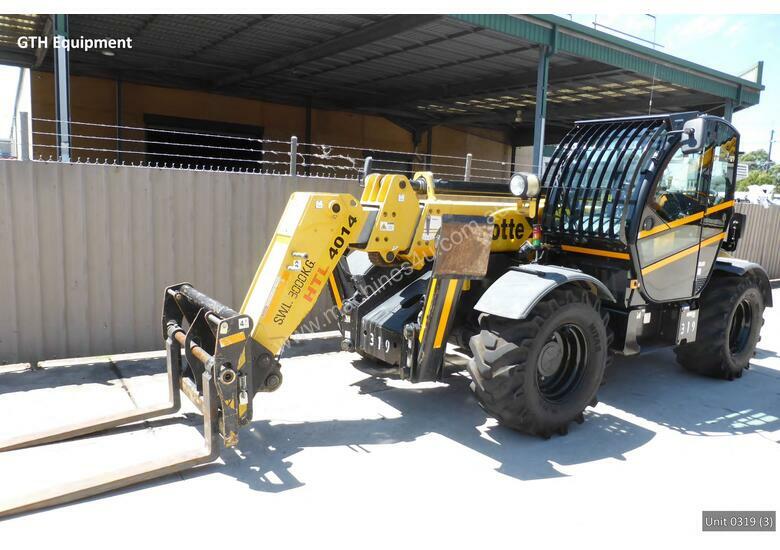 Haulotte telehandlers are manufactured in France and suit the Agriculture, Construction, Defence, Events, Heavy Industry, Landscaping, Materials Handling, Mining, Oil & Gas, Pipeline, Power Generation, Railway, Recycling, Solar Power, Transportation industries. We have repairers Australia Wide and carry comprehensive spare parts holdings to support the product.